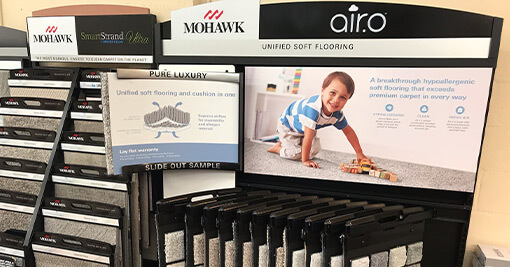 Rompre's Karpet Korner offers full installation of carpet, vinyl floors, wood floors, ceramic tile, luxury vinyl tile, and window coverings. Along with a quality line of carpeting and vinyl flooring, we also have draperies, blinds and other window coverings. Rompre's Karpet Korner is family owned and operated since 1956. 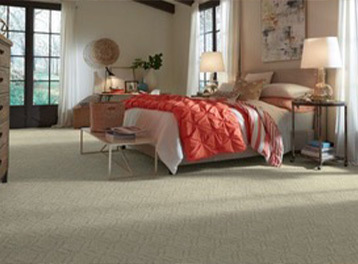 Stop in and see the newest styles and trends of carpeting, vinyl flooring, laminate and ceramic tile. 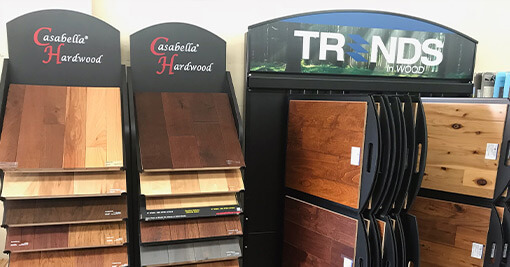 The knowledge of this experienced and friendly staff will make your flooring purchase stress free! Plus we offer expert installation. 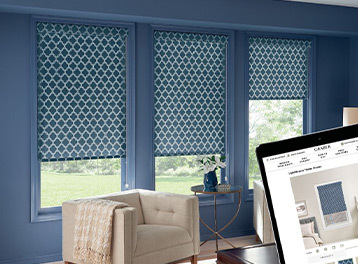 Interior Designer, Jodi, will assist you with all of your custom window treatment needs. The wide selection of fabrics range from contemporary to traditional styles. Weekly specials are always running on carpeting, vinyl and window coverings. Decorating consultant Jodi Paspalofski is on hand to help answer questions or coordinate colors and patterns. 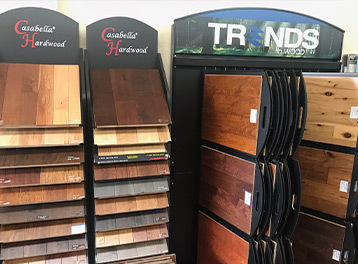 Not only can she help you with your flooring, but Rompre’s also carries a full line of window treatments, custom draperies, vertical and mini blinds, and pleated shades. There are always weekly specials available to make decorating with quality very affordable. Stop in or call (920) 887-1224 and talk to Jim or one of his staff. They'll be happy to offer advice or help you with your flooring and window covering needs. Rompre's Karpet Korner Special Coupon $100 OFF! Rompre's Karpet Korner services residences and businesses in the Beaver Dam, WI community and surrounding areas such as Waupun, Fox Lake, Horicon, Columbus, Fall River, Randolph, Minnesota Junction, Juneau, Clyman, Rosendale, Brownsville, Watertown, Sun Prairie, Waterloo, and more.